This diverse neighborhood is home to folks from all walks of life including singles, young families, working professionals and empty-nesters. 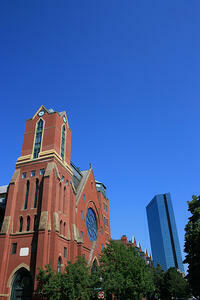 Major tenants of the neighborhood include Boston Medical Center and Boston University School of Medicine. Residents of the South End inhabit a mix of historic brick town homes, modern loft-style properties and full service condominiums. Nearby parks, playgrounds and the community gardens all add to the neighborhood's allure. The neighborhood’s restaurants, bars, galleries and boutiques line Columbus Avenue and Tremont and Washington streets. One measure of the South End's diversity is in the variety of restaurants and cafes that include Thai, Mexican, French, Italian, Indian and American food, just to name a few. Theatre options include City Stage Co. and the Boston Center for the Arts. The SoWa District on Harrison Avenue is filled with art galleries and artist's studios and on Sundays between the spring and early fall hosts the SoWa Open Market, which attracts artisans and shoppers from all over the city. The South End also is home to a number of public art exhibits. For those interested in the neighborhood's history, the South End Historical Society is a great resource. The South End is well served by the Massachusetts Bay Transportation Authority (MBTA) with an Orange Line subway ("T") stop on Massachusetts Avenue, the Silver Line (Bus) along Washington Street, as well as bus lines running along Tremont Street, Massachusetts Avenue and Harrison Avenue. Within walking distance from all points of the South End is Back Bay station, which provides both Commuter rail access, bus stops and the Orange Line T.
As one of Boston's most desirable neighborhoods, the South End real estate market is highly competitive and fast moving. Through December of 2013, there were 43 single-family homes sold in the South End, 10 more than the 33 home sales in 2012. The median price for a single-family home was $1,660,000, up 12.6 percent from the 2012 median of $1,474,500. The most expensive single-family home sold in 2013 was $3,950,000. The average number of days on the market for single-family homes in the South End was 49 days, a 43.1 percent decrease from 86 days in 2012. 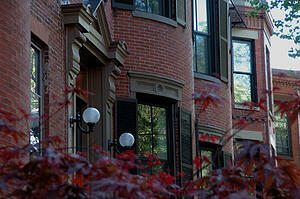 Condominiums make up the majority of the real estate in the South End. Through December of 2013, there were 542 condominium sales in the South End, a 5.7 percent increase from 2012. The median sales price was $649,500, a 12.1 percent increase from the $580,000 median condo price in 2012. The average number of days on market for condominiums was just 31 days in 2013, a 48.8 percent decrease from the 62-day average in 2012. With its vibrant social and cultural life, historic properties and proximity to all of the best of what Boston has to offer, the South End remains a popular destination for Massachusetts home buyers looking for houses and condos for sale. Second photo by Walter (Walrus2) via a Creative Commons license.